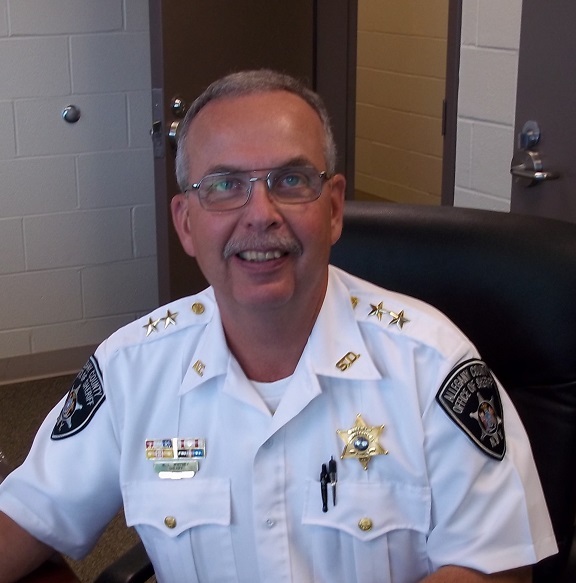 Ricky L. Whitney was elected Sheriff in November of 2010 and took office January 1, 2011. He started his career in 1975 as a part-time police officer for the Village of Angelica Police Department and a part-time deputy sheriff for Allegany County. He was appointed a full-time police officer for the Village of Bolivar Police Department on January 1, 1976 and was promoted to Chief of Police in August of 1980, at the age of 24. Sheriff Whitney has served in law enforcement for more than 40 years. He has an Associate Degree in Criminal Justice from Jamestown Community College, is a graduate of the 193rd Session of the FBI National Academy, and the 100th Session of the National Sheriffs’ Institute. Sheriff Whitney is married to Lois Whitney.